AV Eagle Firewall and Virus Scanner Testing Software, test your firewalls security level and virus scanners ability to detect test files. AV Eagle Firewall and Virus Scanner Testing Software, test your firewalls security level and virus scanners ability to detect test files. TEXT VERSION FOR TESTING OF EARLIER SYSTEMS OR SYSTEMS WITH GRAPHICAL PROBLEMS. AV Eagle Firewall and Virus Scanner Testing Software, Test your firewalls security level and virus scanners ability to detect Test files. AV Eagle is not created by Software companies selling firewalls or virus scanners. How does your security system compare? Two Brothers Software TEXT VERSION FOR TESTING OF EARLIER SYSTEMS OR SYSTEMS WITH GRAPHICAL PROBLEMS. Test Case Manager (TCM) is a tool designed for software test engineers to organize test cases for storage and execution logging. NTP Tool is a easy to use software test tool that acts as a client to a NTP server. NTP Tool is a easy to use Software Test tool that acts as a client to a NTP server. It reports on the responses it receives. You can specify how many requests to send and how large the time between requests. The NTP Server Tool is used for testing NTP Servers. AV Eagle Firewall and Virus Scanner Testing Software, full version, test your firewalls security level and virus scanners ability to detect test files. Stand Alone Security suite for testing numbers of computers without instalation to all computers. Performs scheduled Stress and Load Testing by executing multiple HTTP/HTTPS/XML/SOAP web transactions simulating your customer's actions. Critical performance data is captured and results are graphically reported via online display or email. Business cards software provides creative and innovative platform to design wonderful and unique business cards for employee, visitors, members, security and other staffs in easiest way. Auto Care Software Standard is a comprehensive automotive business management software. 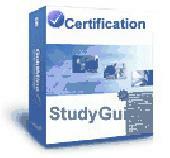 Auto Care Software Standard is a comprehensive automotive business management Software. This windows program is the most contemporary solution currently available in information technology. UcleanWindows is a file protection software for windows platform. It keeps your computer clean and not be dirtied by any programs. This software has easy operations and also has lots of features. Pdf background watermark remover software is fast and cost effective solution for deleting embedded graphics from pdf files. This is a small utility I wrote to test the interface cables used to program Yaesu and Icom radios (it will not work with cables for other radios). carFactory is a car suspension simulation Software that lets you create a new set of suspension or edit an existing one by defining physical characteristics, like springs rates, tire types, dampers, roll bars and other configurations intended for racing simulation Software like rFactor. DawnArk Screen Recorder is really easy to use capture and recorder tool.You can use it to capture a full screen,a selected region,or a picked window.You can draw some easy shape on the capture to show something. Barcode Generator for Books Video CD DVD utility is versatile and creative barcode designing tool which produce large volume of barcode labels, stickers and ribbons in minimal time without wasting extra money.